The U.S. surgeon general is warning against the use of e-cigarettes, declaring Tuesday that any “use among young people is unsafe” and telling parents to be on the lookout for vaping devices that look like computer flash drives. It’s a considerably sterner and more specific warning than in 2016, when the same federal office identified vaping as an emerging public health concern. 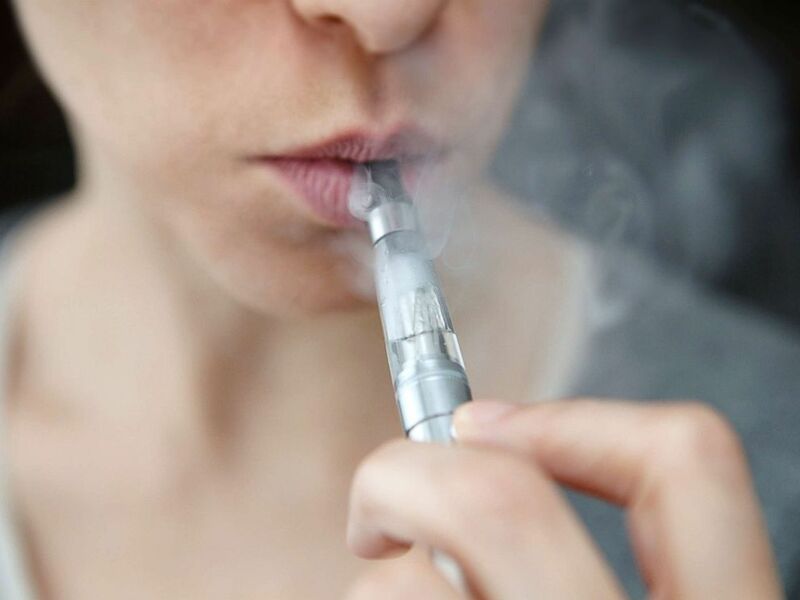 Since then, studies have shown a sharp uptick among young people using the devices and companies that sell the liquid nicotine in flavors that appeal to teens. U.S. Surgeon General Jerome Adams, known as the “nation’s doctor,” said of particular concern is the availability of new products, including ones shaped like a USB flash drive. The office has released photos of what the devices look like as a resource to parents. Dr. Jerome Adams waits to be sworn in as the 20th U.S. Surgeon General by Vice President Mike Pence in Washington, Sept. 5, 2017. One such device made by the company JUUL saw a 600 percent surge in sales in recent years, according to Adams. And a typical JUUL cartridge, or “pod,” contains about as much nicotine as a pack of 20 regular cigarettes, his office stated. JUUL has said its goal is to help adult smokers by providing them with a “true alternative” to combustible cigarettes. The company has rolled out an age-verification system for its products and also offered to rein in sales of flavored vaping devices popular with younger consumers, including mango, creme and cucumber. But the industry’s response wasn’t enough to preempt the surgeon general from issuing its official nationwide warning Tuesday. “These products also use nicotine salts, which allow particularly high levels of nicotine to be inhaled more easily and with less irritation than the free-base nicotine that has traditionally been used in tobacco products, including e-cigarettes,” according to the surgeon general. Young woman smoking an e-cigarette. 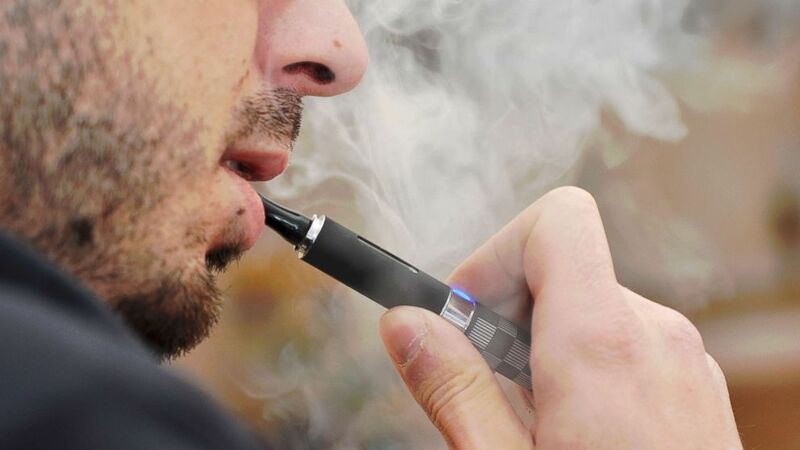 “This is of particular concern for young people, because it could make it easier for them to initiate the use of nicotine through these products and also could make it easier to progress to regular e-cigarette use and nicotine dependence,” the office added. E-cigarettes are battery-powered devices that turn liquid nicotine into an vapor that can be inhaled. E-cigarettes have been pushed by manufacturers as an alternative to tobacco cigarettes because it doesn’t produce tar. As a general rule, doctors say it’s not safe to casually inhale any type of smoke or chemical vapor. In addition to its addictiveness, nicotine can have damaging developmental effects on the human brain for people younger than 25, according to health experts. The Centers for Disease Control estimates 1 in 5 high school students use the products. That’s more than 3 million current e-cigarette users in the nations high schools, up from 220,000 students in 2011, according to the CDC.